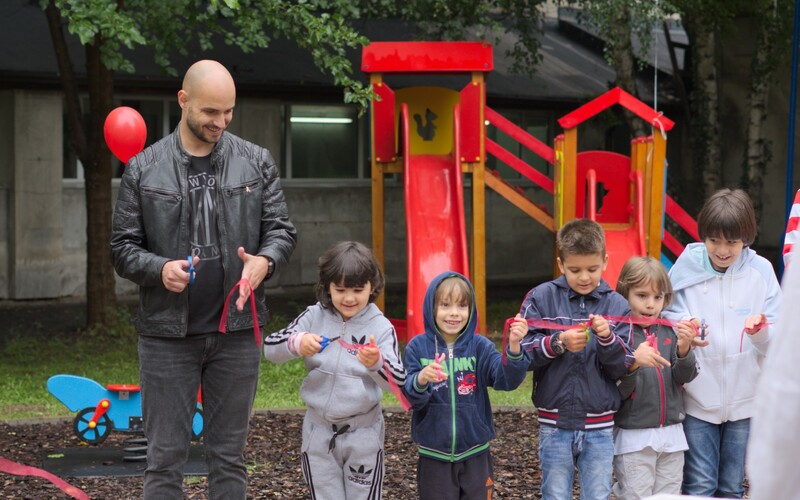 On June 27, 2018, the new playground at the University Hospital "Tsaritsa Yoanna - ISUL", Sofia was officially illuminated and opened. Obsolete and dangerous to use appliances have been replaced with new, made by the safety requirements. 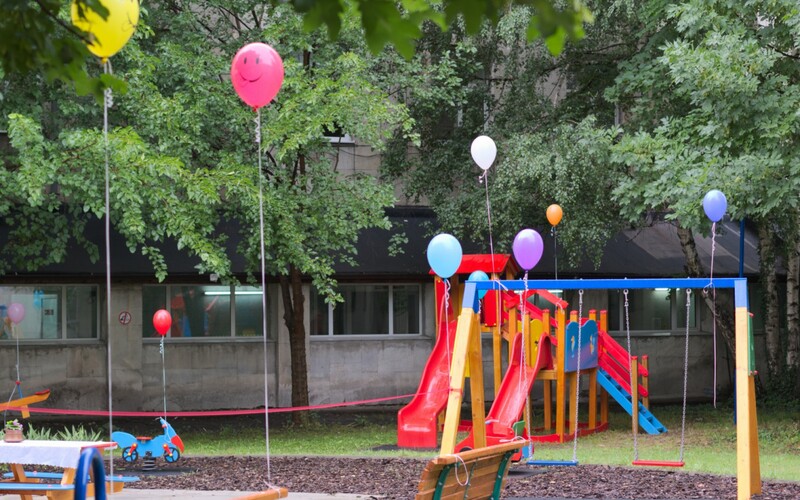 The team of the association warmly thanks to Martin Stratiev, Elena Karaboycheva, Ani Vilfan, to all donors, to the party center Sea Horse and Kostantina Naumova, who with its finesse and delicacy makes each our holiday magical and full of love! After the blessing, the children who are being treated or have healed, officially cut the ribbon. 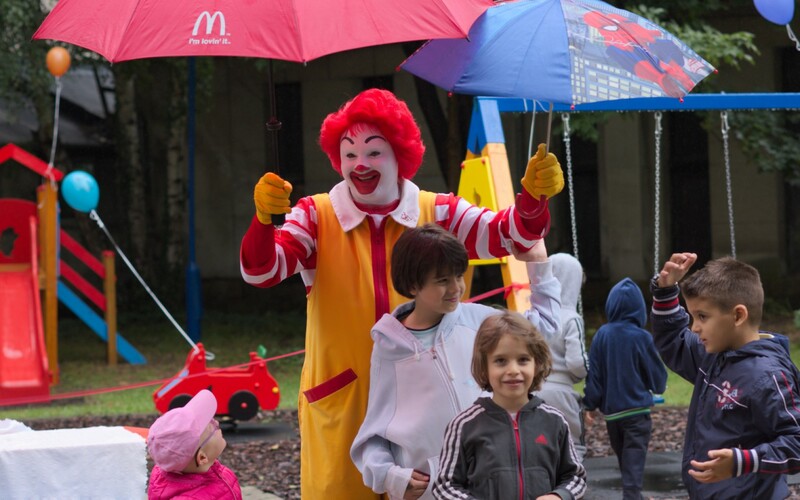 Charity Foundation for Children “Ronald McDonald Bulgaria” sent its world-famous clown to entertain children. "McDonalds" delighted all young patients at the Children's Oncology Clinic and the children at the Golden Ribbon Center with a kid’s menu. 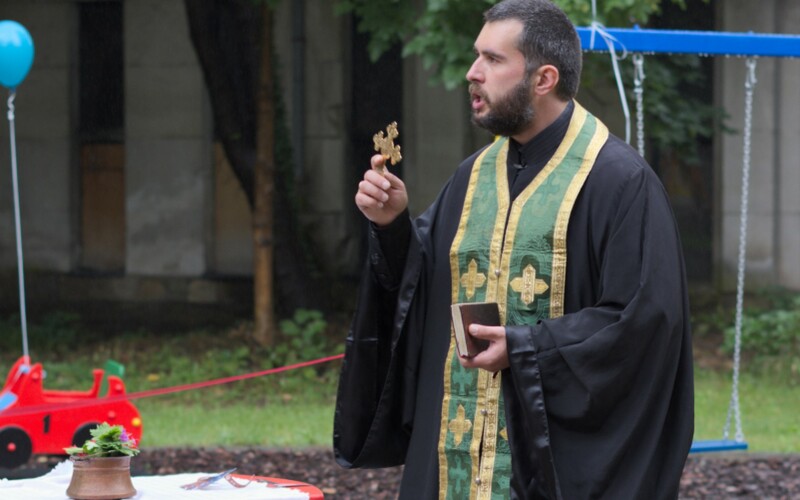 On this day, even nature was on our side and wait to pass the small children's fest to rain. - Game of checkers painted on the ground. For us, this is a dream come true and celebration of the good!